Human beings are creatures ruled by rhythms. The chemical tides of our bodies are constantly ebbing and flowing in a complex pattern of overlapping cycles. These cycles are responsive to a number of environmental factors from the amount of sunlight we receive to what we have for lunch each day. 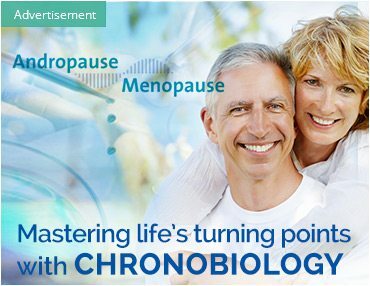 In fact, we are so bound to these cycles that an entire branch of biology has been dedicated to the study of them: Chronobiology. By better understanding how our bodies regulate themselves, we can more effectively treat disorders that either disrupt these rhythms or are the direct result of a disruption. Sleeping disorders, which manifest in a variety of ways, are one such group that scientists give special scrutiny. 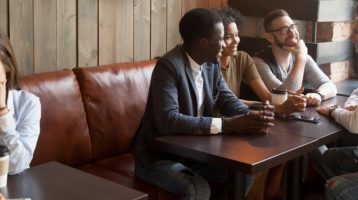 We hear this term quite often in casual conversation, but to get to the root of the problems that cause sleep disorders, a refined definition is in order. Our bodies function on a circadian clock—a cycle that runs a bit over 24-hours. 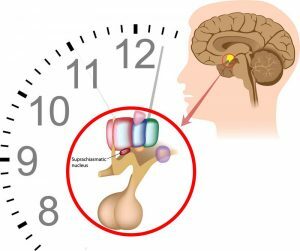 This clock is regulated by a part of the brain known as the suprachiasmatic nucleus (SCN), which governs body temperature, hormone release and rhythmic functions as well as sleeping and waking. 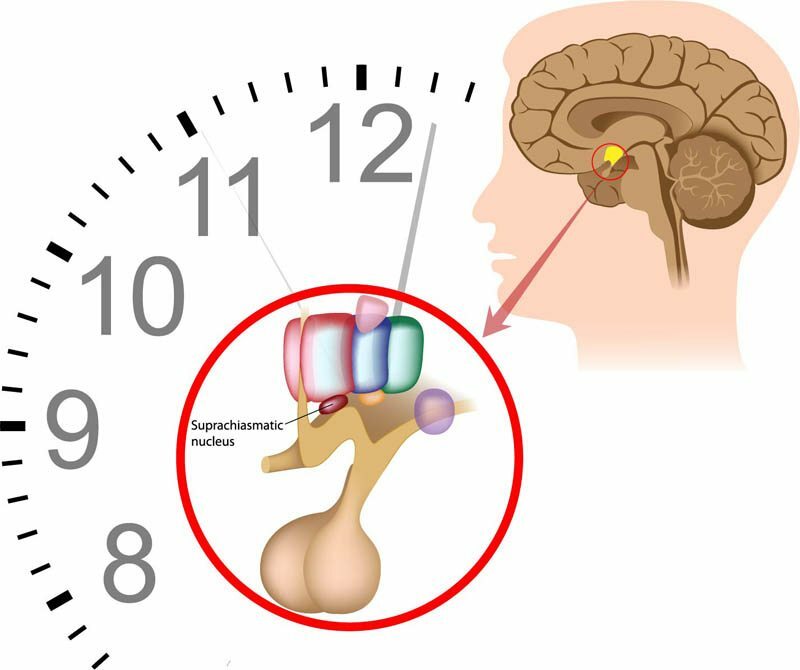 The circadian clock itself is set primarily by visual light cues that are received by special receptors in the eye and run along channels in the brain to the SCN. However, the human body uses other time cues, such as periods of exertion and meal times to synchronize this clock as well. 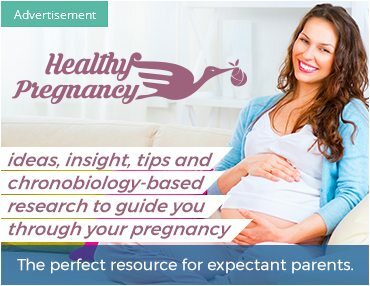 Those activities are also rife with hormonal and energy fluctuations, the release or absorption of sugars in the blood and the rise and fall of cellular metabolism. Hence, that midnight snack becomes a complex undertaking, rather than a simple trip to the fridge like it seemed to be on the surface. Delayed Sleep Phase (DSP): This usually occurs in adolescents and younger adults and is associated with “night owls” who typically stay awake until the early morning hours and may sleep as late as the afternoon. 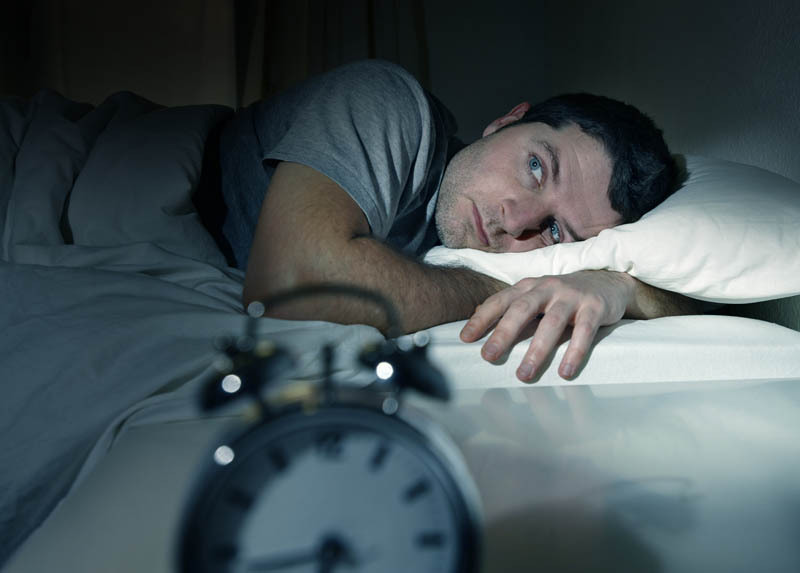 People who suffer from this report chronic insomnia. There may be a high incidence of DSP in their family history. When allowed to adhere to their preferred sleeping schedule, they experience very stable sleep patterns. Advanced Sleep Phase (ASP): Typically experienced by older adults, this disorder is associated with “morning people” who wake two or more hours earlier than is considered normal—between 3 and 5 a.m.—and prefer to go to bed between 6 and 9 p.m. Many who experience this disorder are middle-aged, and the incidence of ASP has been seen to increase with age. If they are allowed to adhere to their preferred sleep schedule, their sleep patterns are extremely stable. Shift Work Disorder: This is commonly experienced by those who work late night or early morning shift jobs. It is associated with feelings of sleepiness at work and an inability to sleep during the day and early evening when most others are awake. People who prefer diurnal (daytime) activity may be especially vulnerable since their natural inclination is to be awake during the day and sleep at night. For most typical sleep disorders not associated with underlying organic or psychological malfunctions, such as dementia among others, there are several therapies that have proven successful for many. Before prescribing a hypnotic medication, physicians and specialists will often recommend alternate courses of action. 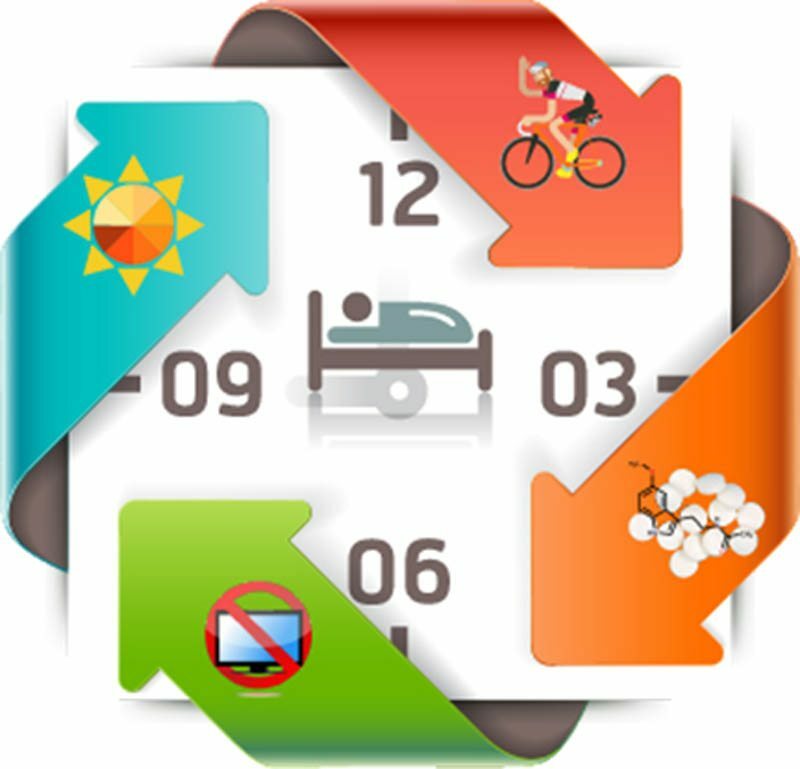 Lifestyle Changes: This involves adjusting the amount of exposure to daylight, changing the timing of their normal daily routines—such as exercise and meal times—and implementing a scheduled nap or naps during the day. Bright Light Therapy: For brief durations during the day, an individual is exposed to safe levels of intense, bright light. This is thought to help encourage the reset of the body’s circadian clock. 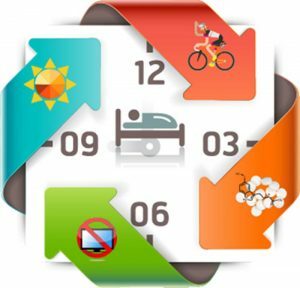 Sleep Hygiene Patients: Patients are educated about how to encourage healthy sleep habits, such as avoiding television and computer screens at least an hour before attempting to sleep, avoiding self-medication through drugs and alcohol, and how activity and nourishment schedules interact with circadian rhythms. Melatonin: produced naturally by the brain at night, this hormone appears to play a part in regulating the circadian cycle. Patients are prescribed regulated doses at specific times. Understanding how the circadian rhythm impacts and is impacted by both lifestyle habits and underlying physiological and environmental factors is crucial to helping individuals attain relief from sleep disorders. 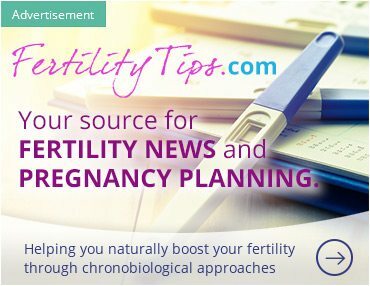 It may help some to know that they can make tremendous impacts on their quality of sleep simply by avoiding the stimulating light cues sent by computers and televisions, which tell the brain to wake up. However, sometimes more intensive therapies are necessary to alleviate a more serious circadian disruption. What is most important to remember when tackling these disorders is that until a bit over a century ago, humans did not have electricity in their homes. As well, until the industrial revolution, the demands of the workplace ran along very different lines. The era of modern technology and industrialized working ideologies—such as overtime and “workends”—are extremely new. By comparison, our brains, the SCN, the circadian clock, and our need for sleep are very old. As with the diagnosis of unknown allergic reactions, eliminating the probable causes of sleep disorders is the most prudent course. While medication may be in order, practicing good sleep hygiene, adjusting life routines and exploring safe alternative therapies may yield incredible results. Do You Have a Circadian Sleep Disorder?